Studying Charles Booth’s notebooks from his research for the Survey into Life & Labour of the People of London (1886-1903), I came upon the volume for Spitalfields from Spring 1898 when he walked through many of the streets and locations of the Spitalfields Nippers around the same time Horace Warner took his photographs. So I thought I would select descriptions from Booth’s notebooks and place Warner’s pictures alongside, comparing their views of the same subject. 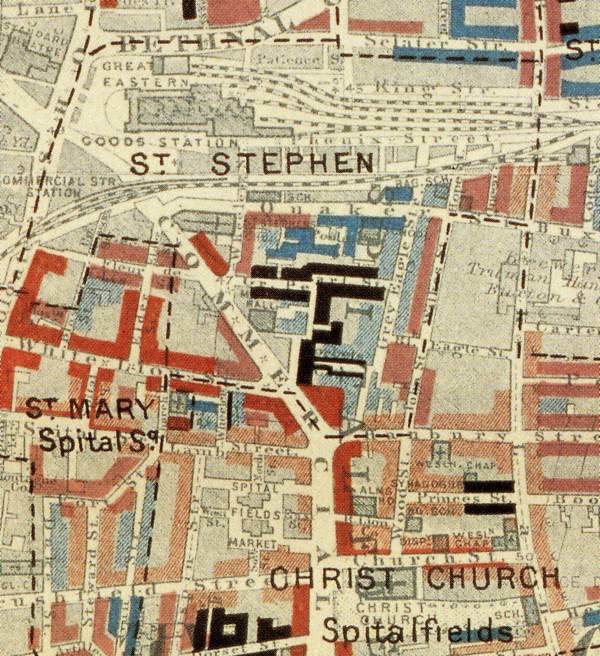 Walked round a district bounded to the North by Quaker St, on the East by Brick Lane and on the West by Commercial St, being part of the parish of Christ Church, Spitalfields. Starting at the Police Station in Commercial St, East past St Stephen’s Church into Quaker St. Rough, Irish.Brothels on the south side of the street past the Court called New Square. Also a Salvation Army ‘Lighthouse’ which encourages the disreputable to come this way. The railway has now absorbed all the houses on the North side as far as opposite Pool Square. Wheler St also Rough Irish, does not look bad, shops underneath. Courts South of Quaker St – Pope’s Head Court, lately done up and repaired, and a new class in them since the repairs, poor not rough. One or two old houses remaining with long weavers’ windows in the higher storeys. Pool Square, three storeyed houses, rough women about, Irish. One house with a wooden top storey, windows broken. This is the last of an Irish colony, the Jews begin to predominate when Grey Eagle St is reached. These courts belong to small owners who generally themselves occupy one of the houses in the courts themselves. Grey Eagle St Jews on East side, poor. Gentiles, rough on West side, mixture of criminal men in street. 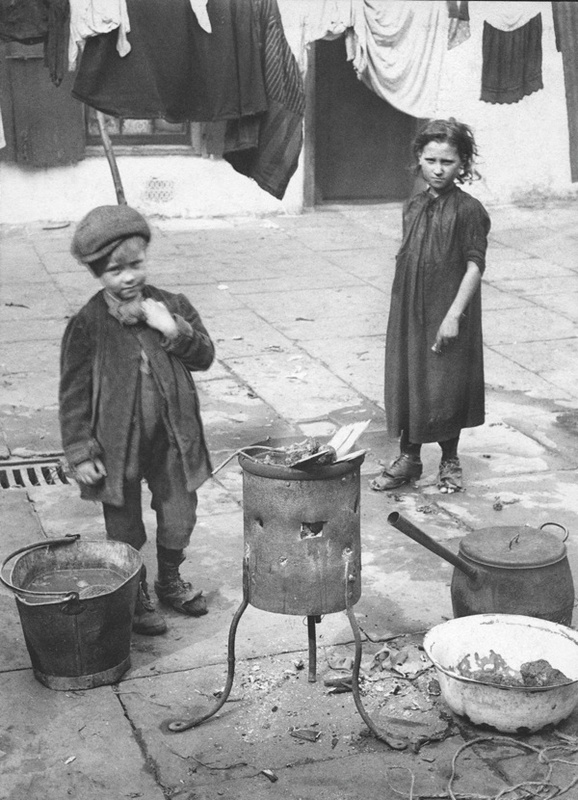 Looks very poor, even the Jewish side but children booted, fairly clean, well clothed and well fed. Truman’s Brewery to the East side. To Corbet’s Court, storeyed rough Irish, brothels on either side of North end. Children booted but with some very bad boots, by no means respectable…. 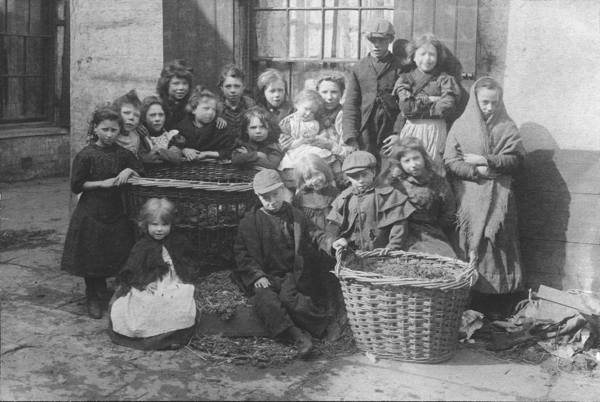 Great Pearl St Common lodging houses with double beds – thieves and prostitutes. 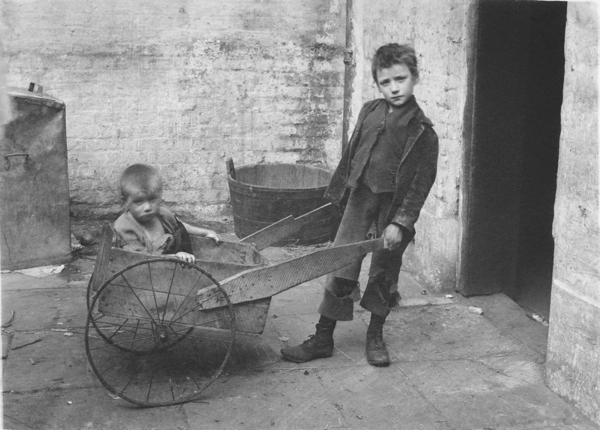 I shall be showing Horace Warner’s SPITALFIELDS NIPPERS and telling the story behind the photographs at WILTON’S MUSIC HALL next week on Wednesday 21st January 7:30pm, as part of 5 x 15 STORIES – five speakers, fifteen minutes each – alongside Franny Armstrong, Lisa Hannigan, Mike Figgis & Viktor Wynd. Amazing contrast between the written description and the pictures. The pictures show people, the written description passes judgement. I’m coming GA – got my ticket as a Christmas present. There are very few blogs / newsletters I almost always read, and very happily they happen to be yours, Franny Armstrong’s newsletters and missives from Victor Wynd. Presumably the characterisation of buildings’ occupants as ‘Thieves, bullies and prostitutes’ etc. came from Booth’s companion, Sergeant French. Is anything known about French, or if Booth took steps to verify his descriptions? Just what kind of sphere was this for the Nippers — but they had come to terms with it: THEIR World! It’s not hard to see here the inspiration for so much of Dicken’s writing. Obviously Booth was many years afterwards but the same problems remained. The pictures go well with the text – a nice idea. Thank you. Catching up on recent posts, gentle author, and I can’t help but feel incredibly sad when I compare the wealth and social standing of nearly everyone in the Dog Post, to this one, where even the human beings are worse off than the dogs in the earlier post. I appreciate how you’ve tied Booth’s work with these photos. Although it makes the heart even sadder. And in our world today, for some, nothing’s changed. 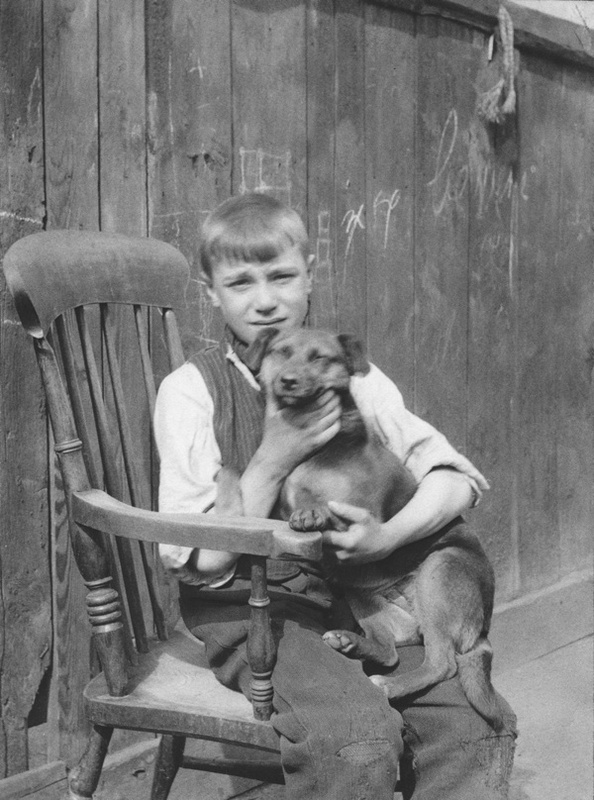 Many dogs get a way better life than some children. 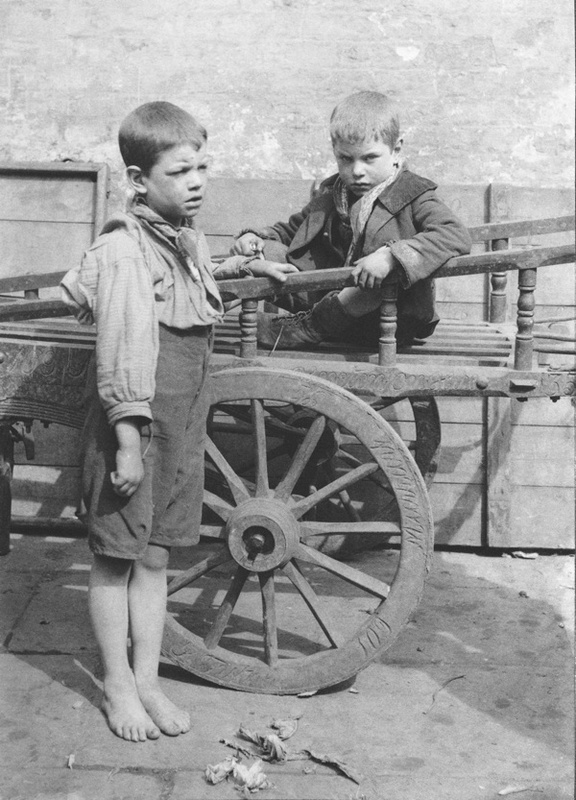 Imagine the poverty that those Irish folk left and then…… the East End. Still looked down upon by almost everyone! Oh Booth, he does make me eyeroll. 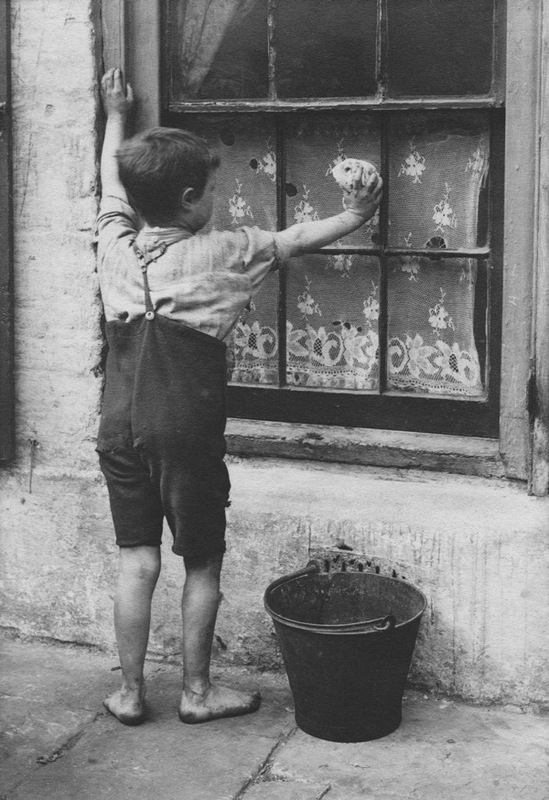 All of my East End ancestors, according to his notebooks, were ‘rough’ or ‘very low’. My great-grandmother was born on Great Pearl St at about the time those notebooks were produced. I like to think she’d have given him a good ‘rough’ clip round the ear. The London School of Economics’ Charles Booth Archive makes available online the raw material of the notebooks that underpinned Booth’s 17-volume Life & Labour of the People of London. As the LSE website explains, the notebooks were compiled by Booth’s investigators, rather than the man himself, most prominently George Duckworth (Virginia Woolf’s half-brother), who was Booth’s unpaid secretary, 1892-1902, & who wrote 2000 pages of the notebooks (see Retrieved Riches, eds. David Englander & Rosemary O’Day, 1995). 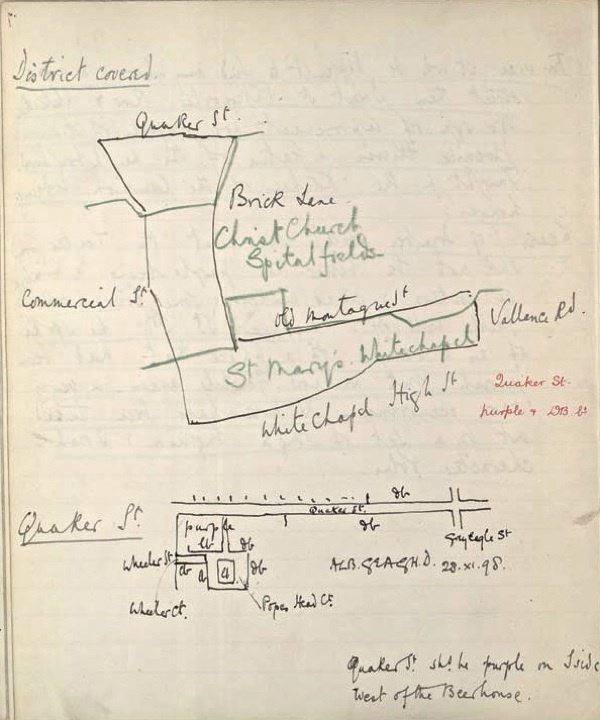 I’ve had reason to consult the online notebooks for both Hammersmith & Marylebone, & would attest that the handwriting in those notebooks (known to be Duckworth’s) is the same as those for Spitalfields. All of which is to say that there’s a formula to the notebooks (not unlike sports commentary) whereby Duckworth provides the play-by-play (the physical condition of what he sees), while the accompanying police officer provides the local color (as per the station’s blotter). If you read the notebooks themselves, thereby within their own context, then I think they are less judgmental of the poor than indicting of the society that permits such conditions to persist. 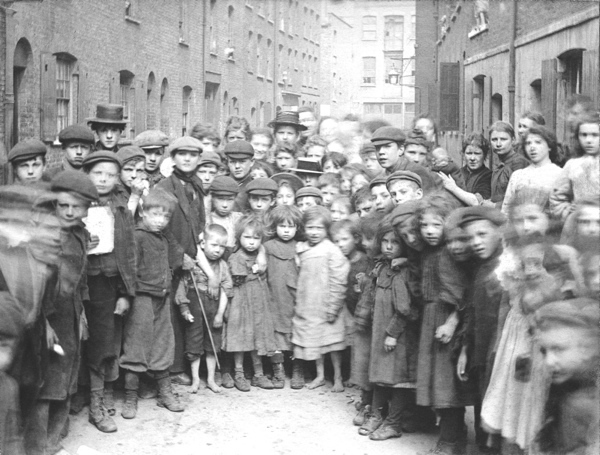 Jack London walked the same East End streets for The People of the Abyss in 1902 & he’s no gainsayer of Charles Booth. 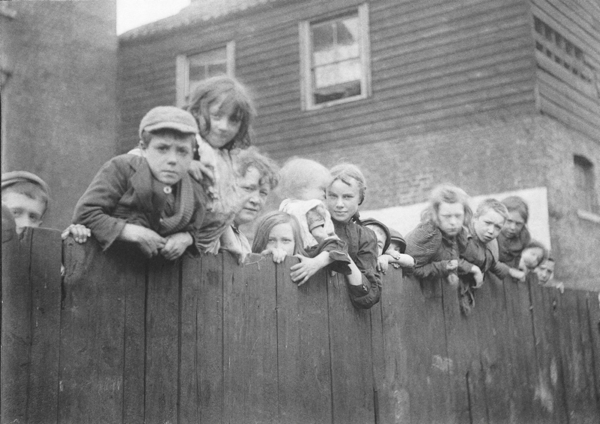 I keep being drawn back to the photographs of the children. For some their only mark on the world may be the blurred image seen here. Others standing formally, hands clasped or at their sides, very few slouching. That their lives were hard is obvious but trying to think of their aspirations, hopes then the crushing weight of day to day existence is for me almost impossible. Some faces stand out, as though they know their lives and what the future holds for them and they will meet it, come what may. I suppose many of the boys will face life and death in the wars of the next three decades. The girls will build families and cope until the social revolution of the Great War brings home its gifts. That bland generalisation however, insufficiently masks the day to day grind of abject poverty. I find myself thinking what they would think of us ? Are we honest; are we fair ? I feel they are looking out onto our world and perhaps are just about to give a judgement down the years. Heartbreaking photos. 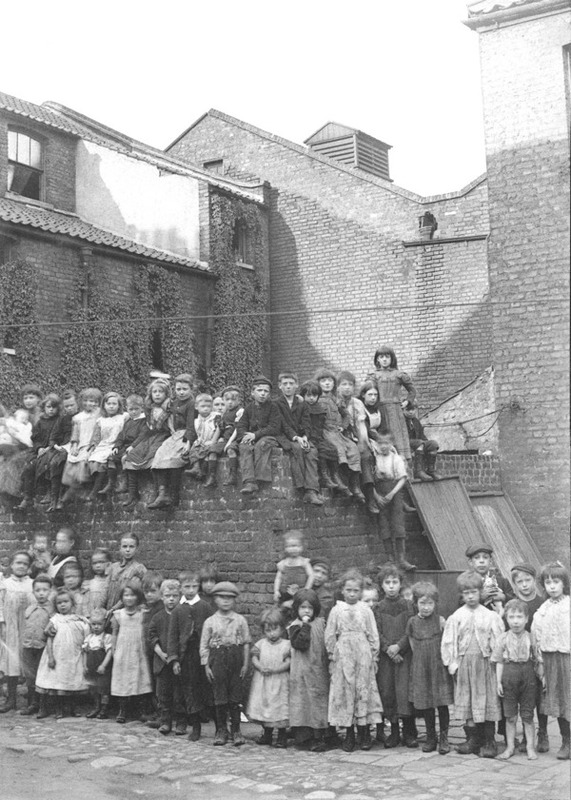 I have traced my ancestors back to 1700s who were born, lived and died in East End. 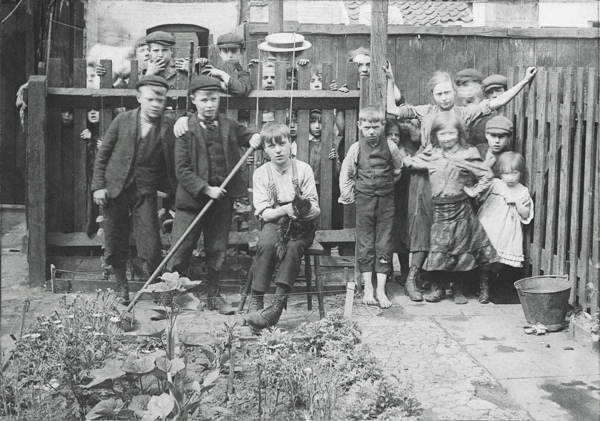 Not all lived like the people depicted here but hard life nonetheless. Can’t help comparing these pictures with the lifestyle of the Royals living up the road. Seems the worker has never been paid a proper living wage although one would have expected it not still to be the case in 2015.